Do you have a secret superpower? Wish you had one? I sure wish I did sometimes. The end of the year approaches and WMG Publishing is positively bursting with projects. Super projects! The heroes of the stories in Superpowers speak to our common humanity; they also captivate and astonish. And go right straight to your heart. 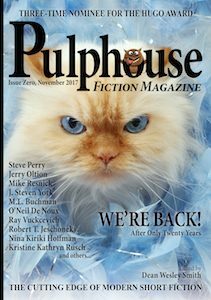 Also zooming up is Issue Zero of Pulphouse Fiction Magazine, the relaunch of Dean Wesley Smith and Kristine Kathryn Rusch’s award-winning Pulphouse: A Fiction Magazine from the 1990s. Issue One of the new quarterly publication comes in January 2018. But to get a running start for subscribers and supporters of the Kickstarter campaign, Issue Zero blasts off this week with more than a dozen great stories, comics, and works of art. I think I can hear Dean <grinning> in excited anticipation as he puts the magazine together. 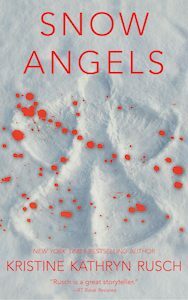 Kris offers another superb short story, “Snow Angels,” for free on her blog. It is a holiday story, yes. It’s not a superpower story, although it is very powerful. Let’s just say the story is surprising, brutal, and heartwarming in a way that only Kris can master. Those are just the projects for this week. 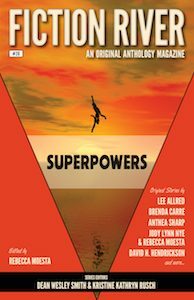 However, speaking of those who do have superpowers, I am delighted to say that topping off a wonderful week, Superpublisher Allyson Longueira returns. Boy are we glad to have her back! Gwyneth Gibby is Associate Publisher for WMG Publishing.